Many travellers like the safety of staying in caravan parks when travelling, but others enjoy free camping in free or low cost sites, such as those in National Parks, rest areas, and other recognised campgrounds. These sites certainly offer freedom, but they do come with a greater risk of theft and damage. There’s no avoiding the fact that nasty things can, and do happen, so spend some time beforehand making preparations to reduce your risk. As appealing as free camping is, you need to think ahead to ensure the safety of yourself and your caravan. If you should need help, where will it come from? Keep your mobile phone with a list of emergency numbers close by. If you’re travelling to more remote areas, definitely consider either hiring or buying a satellite phone. Plan your camp set up so that if you need to leave in a hurry, you’re able to. Have an “exit plan” at the ready; that includes having a good torch, all your personal effects such as keys, phones, and wallets together, and easy access to your hitching gear. For couples, it’s desirable that either person is capable of executing the plan. When free camping, it’s not always practical to remain hitched. Th ere might be an attraction close by that you’d like to visit or a run into the nearby town is required to restock your supplies. So how can you reduce the risk of theft or damage, particularly if there’s no one else around? If you choose to stay in caravan parks, be aware of how you store your personal effects. Most major caravan parks are surrounded by high fencing and some have security boom gates, but this doesn’t always prevent would-be intruders from entering. Items left under the awning while you visit the local shops can be a great temptation for someone walking by. You’re relying on honesty and perhaps neighbours you don’t even know to be on the lookout for your belongings. So if you can’t afford to lose it – don’t leave it out! When travelling, be choosy about where you stop. We all strive to find that perfect spot, but check your surroundings before selecting a site. Whilst it may seem obvious, stay clear of overhanging tree branches and avoid camping next to long grass which can be a snake haven or fire hazard. Any local wildlife would love to eat any food or scraps that you leave out, so remove them to discourage unwanted guests. Consider also that while that waterfront view might look great when you’re setting up, if rain is forecast, you could be inundated by floodwater before you know it. It’s a good idea to arrange your campsite so that it doesn’t look abandoned. Leaving the aerial up, the radio on and the support legs down will help to give the impression you will be back at any moment. Avoid making your caravan look as though it is there for the taking, so all would-be thieves have to do is hitch up and take off ! 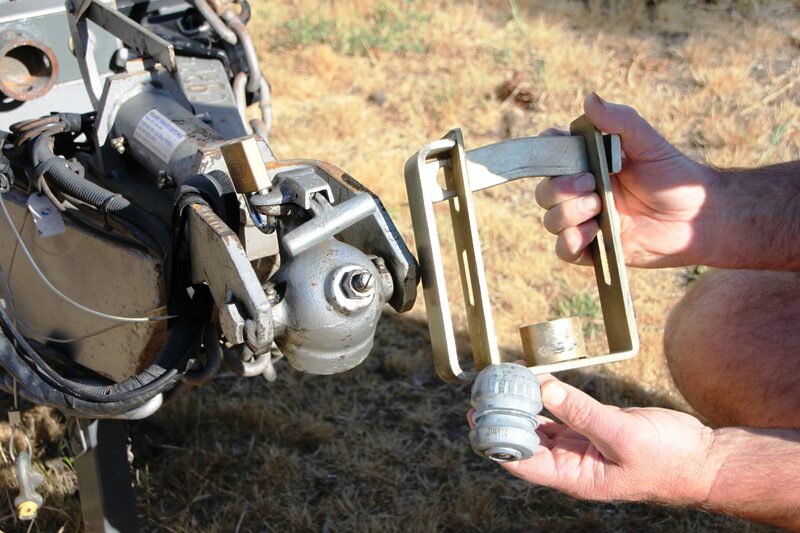 Think of it as a ‘must’ to lock your caravan’s hitch. There are many products on the market at a range of prices. For a few more dollars, invest in wheel clamps which send a clear signal to thieves that your caravan is not going anywhere in a hurry. Remove jockey wheels and hitching jacks, lock them away and have your van supported on a car stand. This makes it harder for the cunning thief who is likely to case the area first looking for an easy mark. 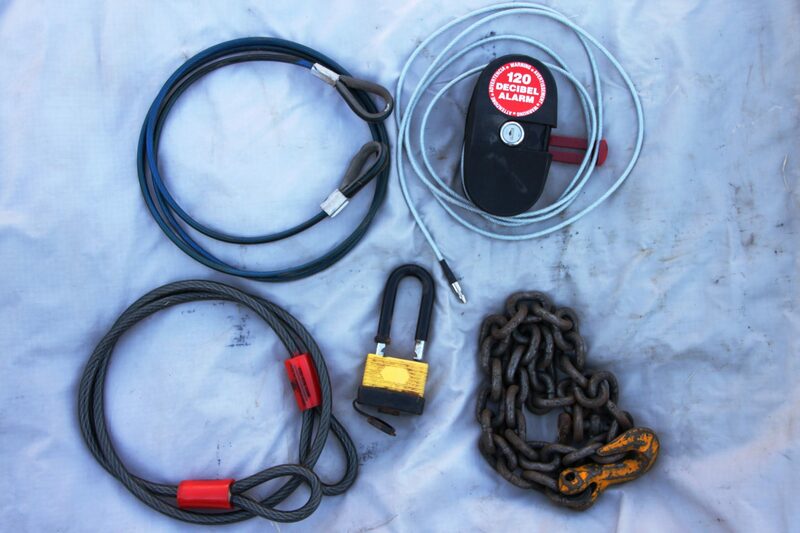 Standard items such as padlocks, chains, high tensile cables, and an A frame lock can all help protect your rig and its contents, but in addition, you may like to consider these options. There are a range of security fasteners in different sizes and styles, which require special tools to undo them. Th is means they can’t just be undone quickly with a spanner or screw driver, which will stop the majority of thieves from taking things like lights, couplings, and other bolt-on accessories. Obtain advice on high tensile bolts if replacing coupling fittings. 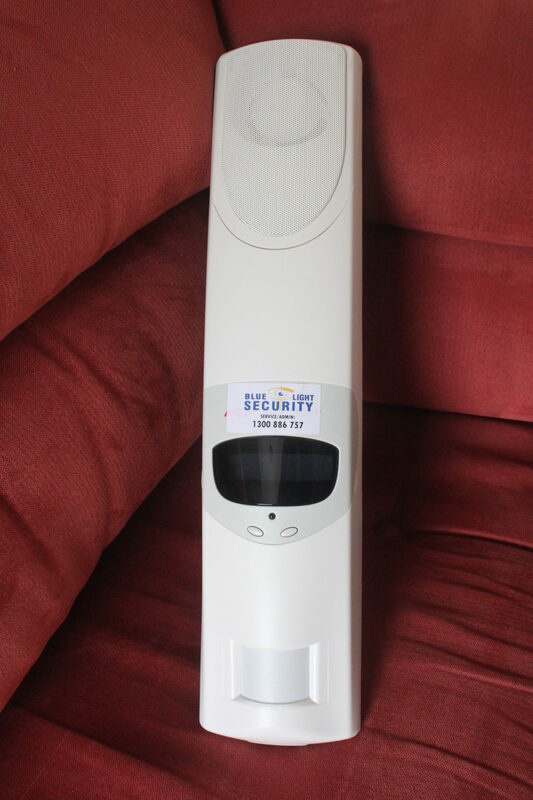 Adding an audible alarm acts as a deterrent; not only for the noise, but these devices can also be programmed to send messages to up to five different devices. The alarms are small and portable, and are the perfect inclusion to any free camping setup. For the message functionality, you need mobile phone coverage. Another alternative is a mobile tracking device which can be hidden on your caravan roof. Having a GPS sender, it pings the caravan’s exact location. You can also set up perimeters on some devices, for example if the van is moved outside the perimeter of your front yard, you will be notified via text. Upon reporting the theft to the authorities with that location, they can quickly and easily track down the thieves. Th ink of it as your own “black box” recorder. A similar approach would be to adopt one of the hand held satellite GPS messengers and attaching it to your caravan.